Restylane® works immediately by adding volume to smooth away wrinkles. A clear gel formulation of hyaluronic acid, Restylane® is specifically formulated to act like your body’s own hyaluronic acid. 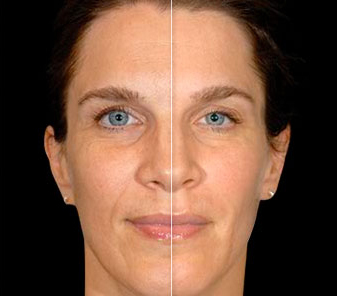 So, you can use Restylane® to visibly reduce moderate to severe facial wrinkles and folds for a younger-looking you. 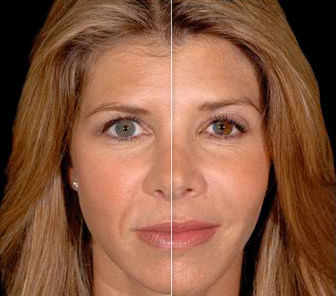 Restylane® can be used to add volume and fullness to the skin to correct moderate to severe facial wrinkles and folds, such as the lines from your nose to the corners of your mouth (nasolabial folds or laugh lines). 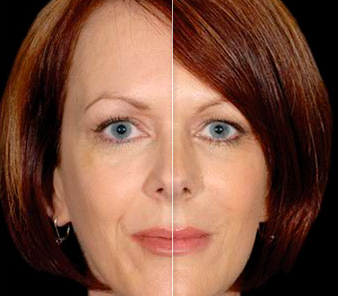 Restylane® can also be used in other moderate to severe facial wrinkles such as lipstick lines – the area just below the nose and above the upper lip; the corners of the mouth; and marionette lines – the area that extends downward from the corners of the mouth to the jawline.